Spanning the Gulf of Thailand islands of Koh Ouen and Koh Bong, this 5-star resort boasts tropical reefs, azure waters, white sandy beaches, and stunning sunset. Free daily speed-boats to and from Sihanoukville take a mere 40 minutes. Song Saa Private Island Resort operates an “all-inclusive” concept, that means guests will get complimentary world-class Western and Cambodian cuisine, alcoholic and soft drinks and much more. The resort is home to 27 rooms, all tastefully furnished to provide comforts. All villas include private pools, sun-decks and ocean views whilst the rest of the resort offers spa, yoga, and sea sports. Come discover an engaging blend of professional service and a wide array of features at Song Saa Private Island Resort. Please note that once on the island you will be feel to indulge in all the resort has to offer knowing that all of the below is included in the rate. - Breakfast, Lunch and Dinner together with surprise snacks from our talented team of chefs in any of our dining venues. - Unlimited house wine, house beers, house spirits and non alcoholic beverages. - Room service 24 hours a day. - Access to water sports equipment such as snorkeling gear, kayaks and sailboats. - Wifi in your villa and throughout the resort. - Mini bar restocked Daily. - 15 minute foot massage on arrival. - Pick up from Sihanoukville Airport. - Return speedboat transfers to and from Song Saa. - Guided tours of Koh Bong and Koh Ouen, the twin island that form Song Saa Private Island. - Return speedboat transfers (Sihanouk Ville to Song Saa Private Island). (Due to safety reason, our last scheduled speedboat transfer 04:00pm local time). Boat schedule: Song Saa to Sihanouk Ville: 8:00 am, 12:00 pm, 2:00 pm (Boat schedule subject to change and according to weather conditions). Return transfers from Sihanouk Ville Airport to Sihanouk Ville port. Children 2-5 year(s) – Stay for free if using existing bedding. * Guests over 5 years old are considered as adults. 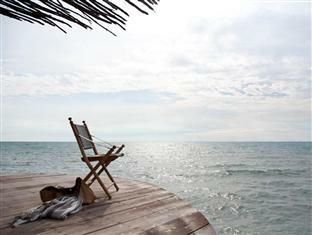 Song Saa Private Island is only a 30 minutes by speed boat from the city of Sihanoukville.